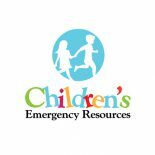 Thank you for showing your support for the 23rd Annual Children’s Emergency Resources, Inc. Golf Tournament. Donations may be mailed throughout the year to provide for the medical needs of students in Martin County.